A couple of months ago, part-way along an 130-mile fundraising trek, we wandered past the atmospheric Brontë School House – once the infamous Clergy Daughters School, attended by a very young Charlotte and Emily Brontë and their tragic older sisters Maria and Elizabeth, who sadly fell victim to tuberculosis as a result of their time under its roof. Later, this establishment was the template for the dreadful Lowood School in Charlotte’s Jane Eyre. 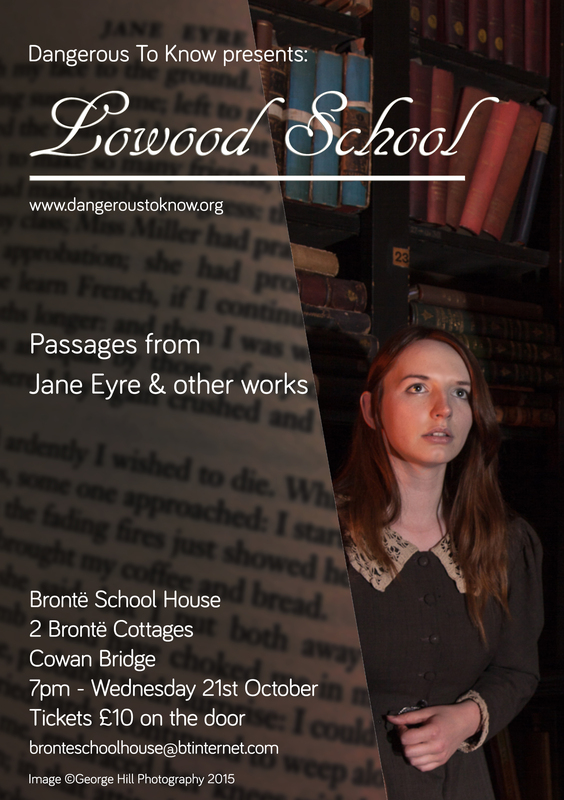 The current owners of the building have chased away the its dark past and transformed it into a cozy, hospitable and popular guest house, and have now kindly invited us in to perform a reading tailored specifically to its Brontë connections! Don’t miss out on this unique event – we’re really looking forward to reading these great works on the site that first inspired them!